SHINee are the princes of hair dying, but this is the first time Jonghyun has boldly come out with an unnatural color. 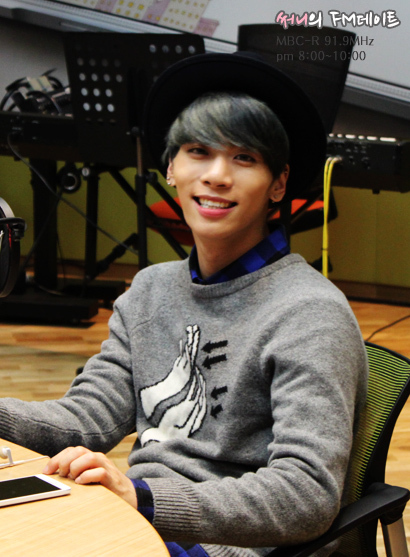 Images of Jjong with grayish blue hair were uploaded online recently. The K-Pop singer seems to be channeling fellow member Key who loves his rainbow colors. 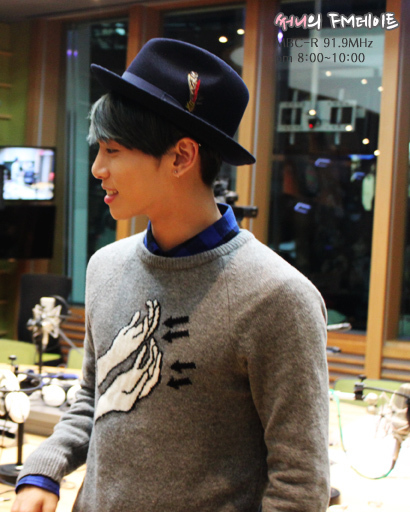 Jong proudly showed off his new look at his DJing job at MBC’s Blue Night Radio. Could he possibly be trying to match the name of his radio show? Maybe. All rights to the images belong to MBCDateFM and SHINeee.net. This entry was posted in Entertainment, Music, News and tagged 김종현, 샤이니, kim jonghyun, SHINee. Bookmark the permalink.